plus a passing steam train and Spitfire, echoes of a bygone age. make out peoples' faces in the windows of the train, there was that much detail. hence this picture shows the mural from the "wrong" angle. 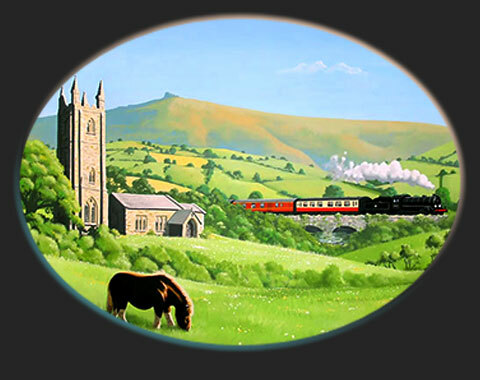 Lovely details of the steam train on the old stone bridge, the Spitfire and the foreground trees in this charming mural.